Particulate Matter (PM) is the sum of all solid and liquid particles suspended in air, many of which are hazardous. This complex mixture contains for instance dust, pollen, soot, smoke, and liquid droplets. Ozone (O3) is a gas that can form and react under the action of light and that is present in two layers of the atmosphere. High up in the atmosphere, ozone forms a layer that shields the Earth from ultraviolet rays. 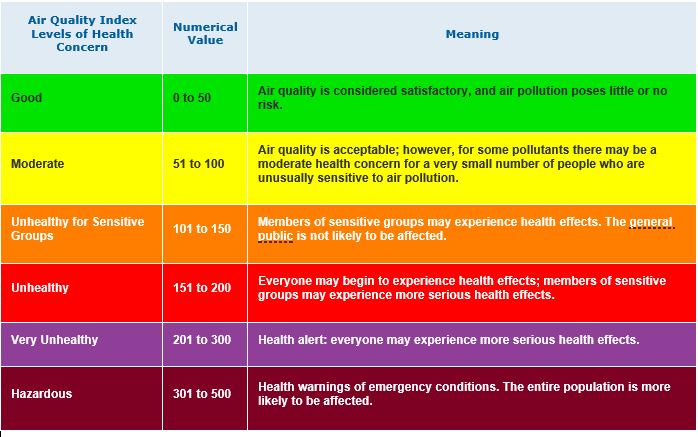 However, at ground level, ozone is considered a major air pollutant. Sulphur Dioxide (SO2) is a corrosive gas produced by the burning of fuels, such as coal and oil, that contain sulphur. It is also produced from sea spray, organic decomposition and volcanic eruptions. Carbon dioxide (CO2) is a colourless gas with a density about 50% higher than that of dry air. Carbon dioxide consists of a carbon atom covalently double bonded to two oxygen atoms. 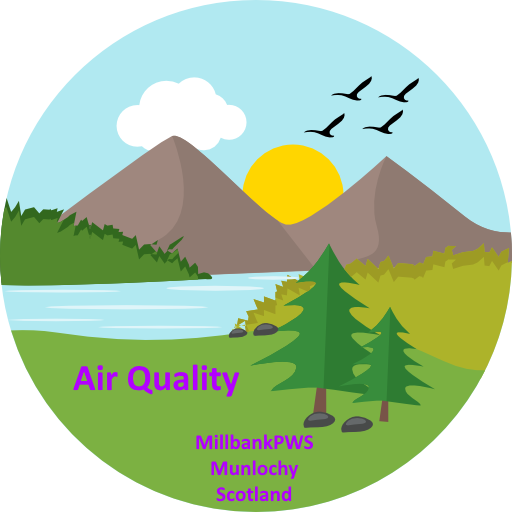 From time to time, especially in the winter month the AQI at Millbank PWS is higher than might be expected from a small rural village. This is due to some local residents burning fossil fuels and employing wood chip boilers. Live AQI at Millbank PWS Refresh browser to update. So that we do not contribute to the production of greenhouse gasses most of our instruments and resources are run from solar and wind power.